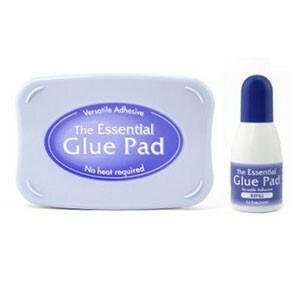 The Essential Glue Pad is a clear, heat free adhesive for all your creative needs  without the use of a heat gun! At Impress we love to use it with ultrafine glitter. It also works with chalks, mica powders and foils. Set includes empty pad with 1/2 oz refill.